I reckon $90 is a fairly reasonable price for Bumblejumper. A quick ebay search will also support this price methinks. Though if you're not willing to fork out that kind of money on just one little figure, can I suggest keeping an eye out for minibot lots? I've seen a couple of auctions in the past few months with a bumblejumper in it. hi Whoop, Bumblejumper came in today. I actually bought it as a lot with pre-rub Cliffjumper, Red Bumblebee and pre-rub Brawn with cardback (also bought Needlenose from the same seller). Bumblejumper is very minty has tight joints, nothing broken and has a near C10 Autobot insignia on his chest. I'm very happy with the piece but is secretly still questioning the sanity of paying that much for a tiny piece with a simple transformation. Still, you research did set my mind at ease. Thanks! What do you think of the prices I assigned to the pieces? Depending on each price assignment, Bumblejumper could be more or less than AU$90. About market price for BJ, maybe a little less. He goes for horrendous prices compared to the other Minicars (which is understandable). Ironically, I paid less for my red Microchange version (from Singapore, BTW) than I did for Bumblejumper. Ok so considering selling some botcon stuff. 2002 new years G1 optimus prime re-issue MISB autographed by peter cullen? Negotiating a purchase of loose Targetmaster Blurr in C9 condition, a few stickers worn. Price and shipping works out to be around AU$98. What do you guys think in terms of price in relation to today's market and the apparent 'rarity' of TM Blurr these days? I think that's not a bad price if it's being shipped from out of Australia, HD. Unlike Kup and Hot Rod, Blurr and Haywire never been reissued, and considering what TM Cyclonus and Scourge can go for, by contrast it's downright reasonable. Last edited by heroic_decepticon; 1st June 2010 at 05:41 PM. 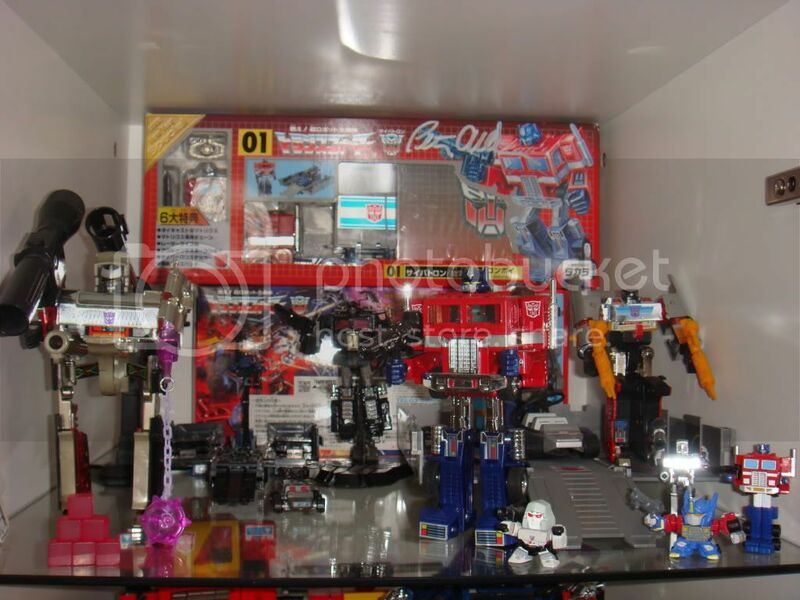 guys, another price check request from me for vintage experts like Sky Shadow, Kup, Whoop, 5FDP, bruticus, dirge, liegeprime, jgon (where are you man?) and anyone else with working knowlege of the subject matter. Question to griffin too, since you obviously have these guys. I've been offered the Jap exclusive Powermaster engines Aquastar, Boretto (Bullet) and Zettoca (Zatca) all MIB, C9.5 opened from MISB for inspection with complete paperworks. Wondering what are your views in terms of rarity and price to pay? My subjective valuation, which has no basis on facts or research of any kind, is in the region of AU$65 to $80 each. Too much? Too little? What are your thoughts?